Not that far from the original. The acting is still poor and the plot is still thin, but the effects have been improved dramatically! Even though the story is far from the original, I still find it very thin. But for a fantasy action movie, it is acceptable. Hunting down the guy who is trying to take over the world is always a good theme. I am fairly convinced that the choice for Jason Momoa as Conan is primarily based on his looks, then his athletic abilities and lastly on his skills as an actor. He does not come off as a retard, but he is bordering the line. 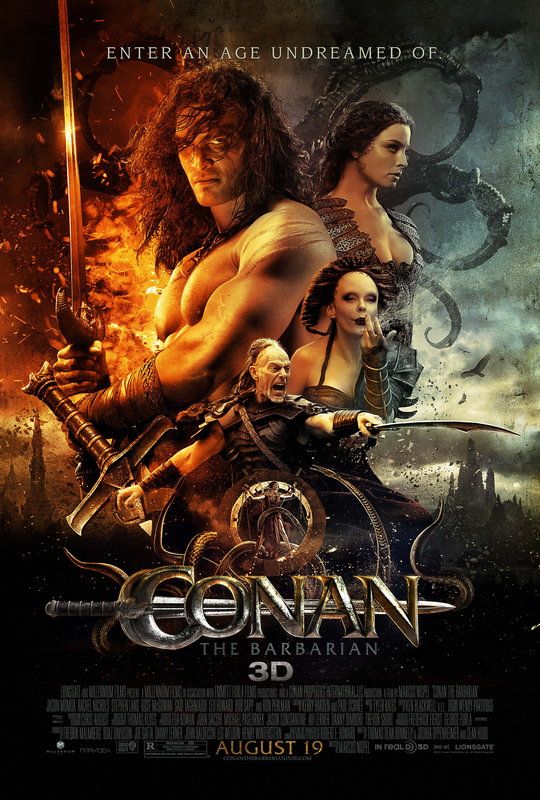 Ron Perlman is good in his part as Conan's farther. I still do not like him, but for the last few years he has done one solid performance after another, so I am starting to warm up to him. Rachel Nichols is cute but for some reason I feel more drawn to Rose McGowan instead, despite (or because of?) her scary make up! Stephen Lang does not preform well in my opinion. He fits the character good enough, but he somehow comes of as shallow. It is as if he is not convinced of his character himself. I could imagine that he would be the one found on the gag reel wearing a wrist watch. The effects are done really well, and compared to the original Conan, this is a major improvement! In my opinion this is really what makes the movie worth watching. You should see this movie, if you like the fantasy genre. It is also recommended if you have a cult-like relationship towards the original Conan movie or comic book (which I have never read btw). Watch it with a group of friends in a movie theatre. It deserved the big screen and great sound.